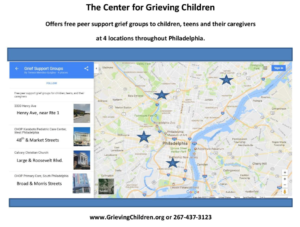 The free peer support groups for children and teens, grades K through 12th, who have experienced the death of someone close to them, take place every other week, in the late afternoon or evenings. Peer support and a caring adult presence help to reduce feelings of isolation and loneliness that children may experience after a death. 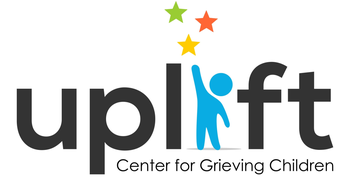 Games, arts and crafts, music, writing and other creative activities help with grief expression in children and teens. Groups are divided by age/developmental levels so children and teens are with their peers. Caregiver groups are held nearby at the same time to help adults support a grieving child. We use a model of peer support, adult mentoring, and therapeutic play and creative expression – enabling children to respond in constructive ways and to discover skills for growing through their grieving process. While there is therapeutic content in these groups, we do not provide individual or group therapy or grief counseling. We do not charge families for our services. QUESTIONS OR WANT LEARN MORE?